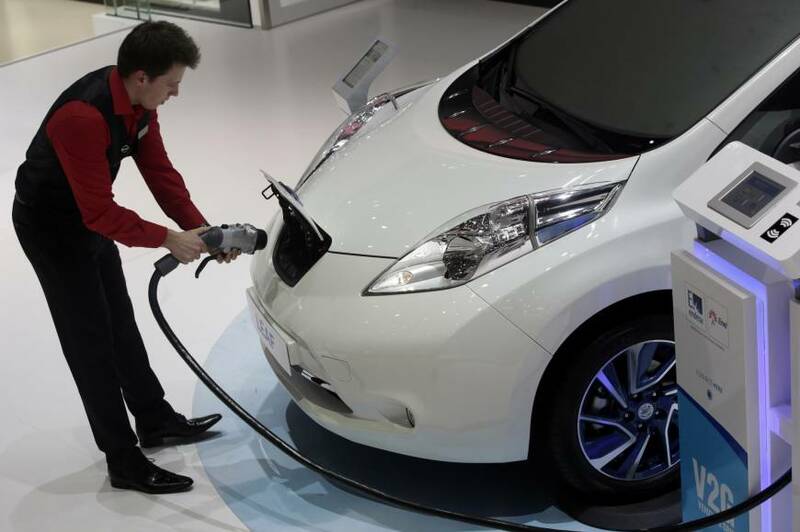 Nissan Motor Co. is selling its battery business to Chinese private equity firm GSR Capital for about $1 billion, a person with knowledge of the matter said, as the carmaker seeks ways to improve competitiveness of its Leaf electric cars while reining in costs. The deal covers Nissan’s battery subsidiary Automotive Energy Supply Corp. as well as manufacturing operations in Japan, the U.S. and U.K., Nissan said in a statement Tuesday, which didn’t disclose financial terms. Assets sold to GSR will also include part of Nissan’s Japanese battery development and engineering operations in Oppama, Atsugi and Zama. The sale marks the end of Nissan’s long search for a buyer for the battery unit, which was established jointly with NEC Corp. in 2007, more than three years ahead of the Leaf’s introduction. Buying the business will allow GSR to take advantage of global automakers’ pursuit of sales in China, the world’s biggest electric-vehicle market. The Chinese government has required EV producers to choose from a list of approved battery vendors, all domestic makers, to receive subsidies. Nissan has established a supplier relationship with the new owner of the battery company and the purpose of this is for Nissan to procure high-spec lithium-ion batteries at a low cost to expand its EV lineup, Nick Maxfield, a spokesman for Nissan, said in an emailed statement. The battery-making company under GSR will continue to be the exclusive supplier for the Leaf EV, Wu said. It will also handle development of cell modules and Nissan will design battery packs, which goes hand in hand with automotive design, Maxfield said. Nissan said it would take over NEC’s 49 percent stake in the battery venture and then sell the business to GSR. NEC will book about ¥10 billion ($90 million) in nonoperating income from the sale, the company said in a separate press release. Representatives for GSR Capital, Nissan and NEC declined to comment on the financial terms. Barclays PLC advised Nissan on the sale. GSR will further invest in R&D, expand existing production capacity in the U.S., U.K. and Japan, and also establish new facilities in China and Europe, Wu said. GSR plans investments in production facilities to increase capacity to 30 gigawatt-hours in China by 2020, according to Wu. 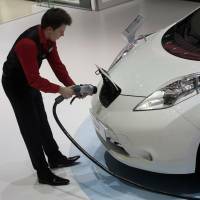 Nissan has been selling stakes in businesses, including parts manufacturer Calsonic Kansei Corp. and forklift truck maker UniCarriers Corp., to focus on developing technology including electric powertrains and autonomous driving. Nissan is also looking to push into Southeast Asia with its purchase of a stake in Mitsubishi Motors Corp.